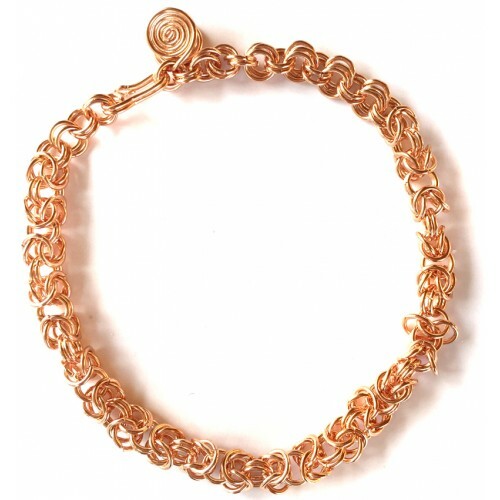 Byzantian chain bracelet is designed and made by Sema Kansu. The artist is using armor chain techniques for her unique and modern designs. Artist Sema Kansu has started copper wire art in 2000. 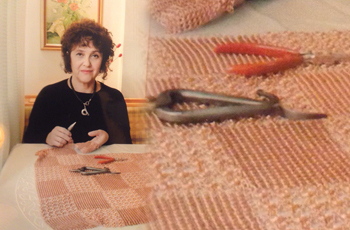 She is using pure copper wires and copper sheets as the only material for her products. Her inspiration is armor chains and lace works. Other than jewelry she is applying her art to many different decoration objects like table cloths, lambs, mirror frames etc. Sema Kansu is an official artist of the Turkish Republic Cultural Ministry.